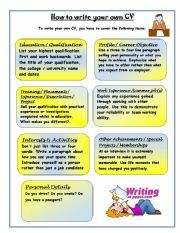 A worksheet about main items of a CV. 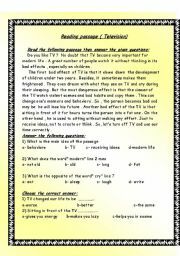 You may find it useful while teaching "jobs"
Reading passage " television "
A reading passage about television. 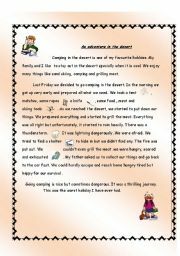 An example for an adventure story. 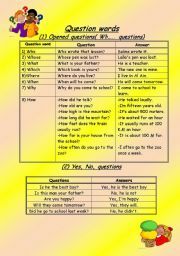 Reading comprehension passage with questions" Seas"
A reading comprehension passage with different kinds of questions to be set as a test. I hope you like it. A worksheet containing a number of sentences to be ordered. 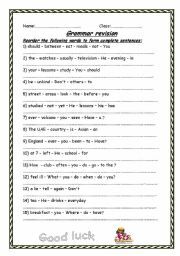 A grammar guide and some related exercises about adjectives and adverbs. 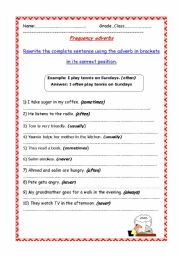 It is my first worksheet on the site.I hope you like it. 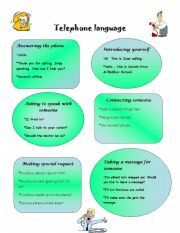 10 sentences about frequency adverbs. Adverbs " Part 1 "
I prepared this show to teach students how to read the clock. Answers are accompanied with human sounds. I hope you like it. I prepared this show to practise wh questions. I hope you like it. The 3rd part of the lesson. Thanks for passing by and for your nice comments. 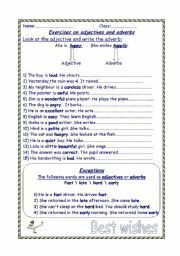 Relative pronouns " with voices"
Good morning everybody. This show practises relative pronouns. Pupils join the two sentences using the word between brackets. While showing the answer, It will be said with a human voice. Enjoy your time. Good morning. This is the second part of my presentation " Adverbs". Thank you. Maybe I made a mistake. The first 3 slides are repeated in part 1. Different sentences with pictures .Pupils choose the opposites.